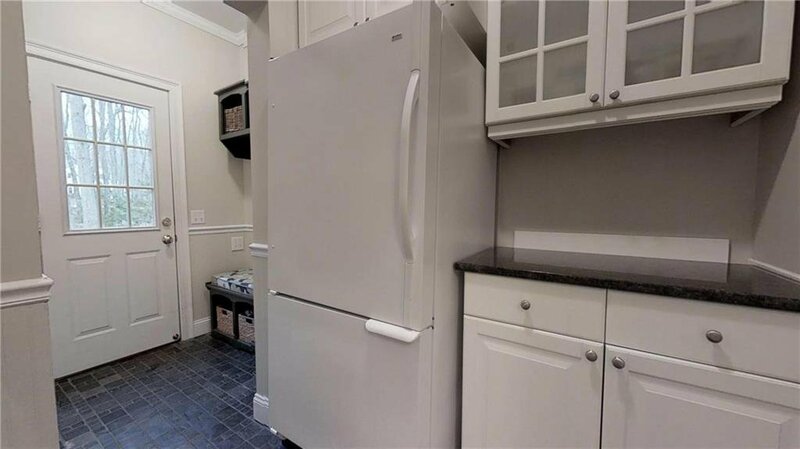 Improved price! 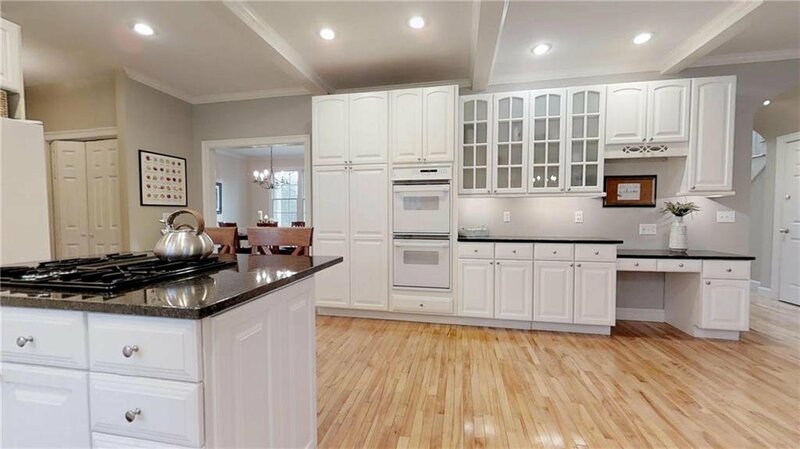 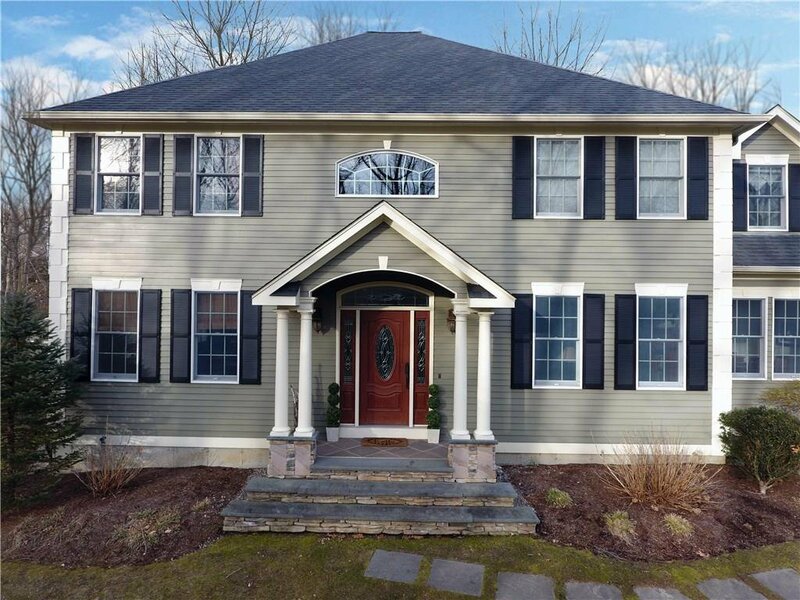 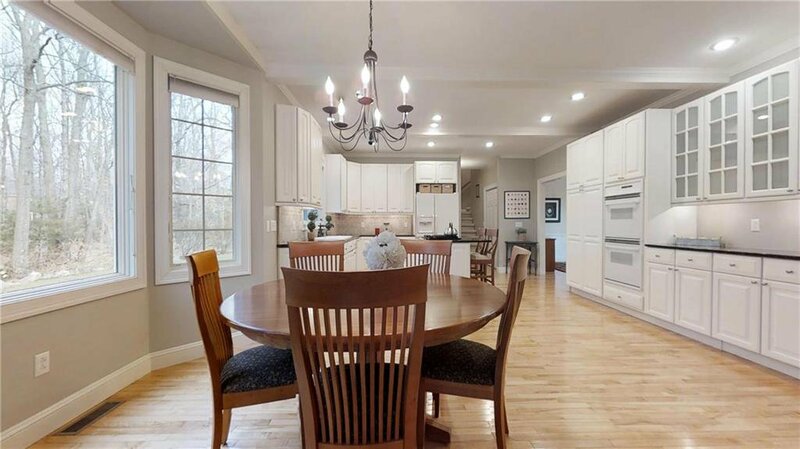 Welcome home to this stately, spacious and sun-filled contemporary colonial in highly sought-after Laurel Woods neighborhood. 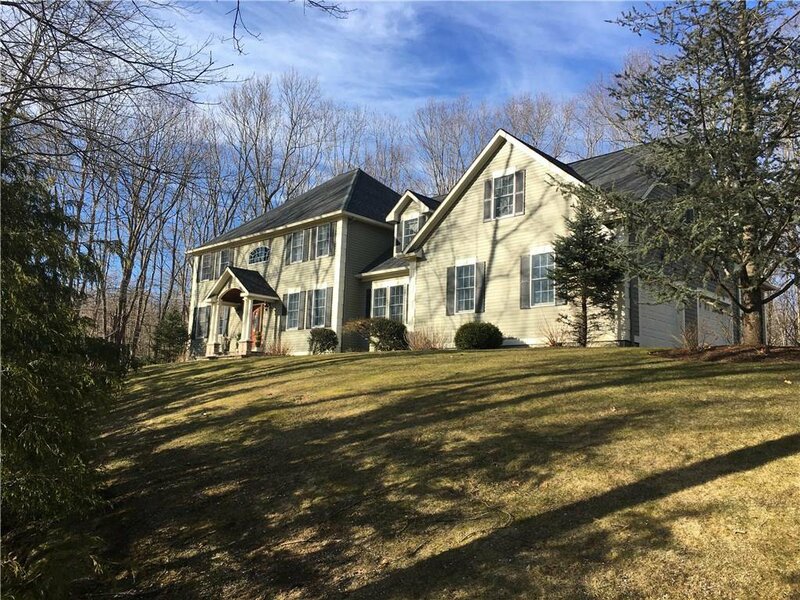 Driving up to this property set majestically on a hill fills you with anticipation...and you won't be disappointed! 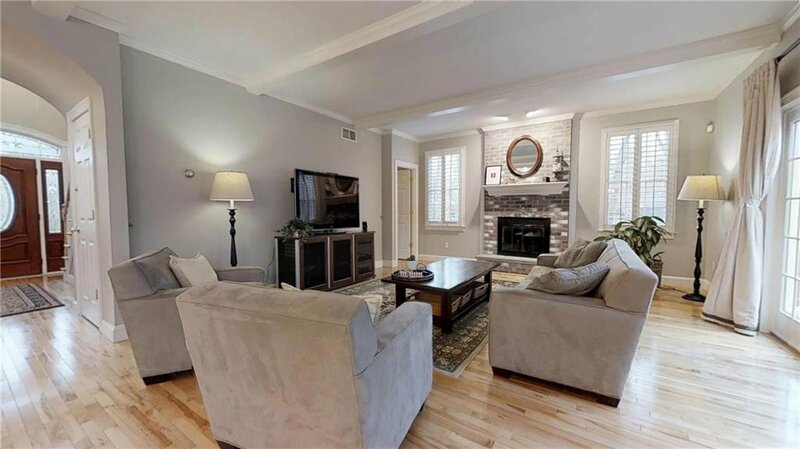 Nearly 4,000 square-feet of living space with 4-5 bed, 4 full/1 half bath home with 9' ceilings throughout. 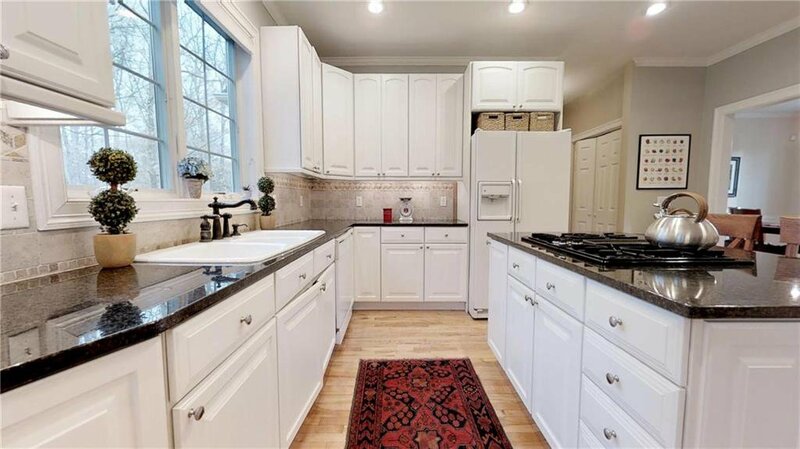 Massive eat-in-kitchen with white cabinetry and dark granite, double ovens, gas cooktop island. 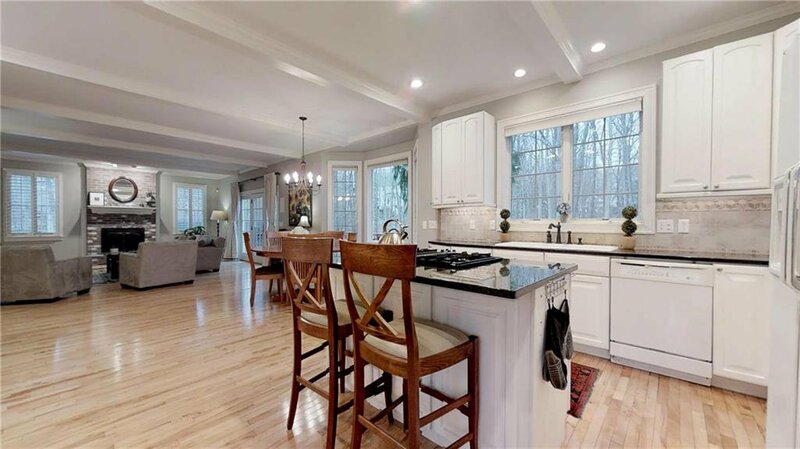 Kitchen opens to cozy family room with fireplace with sliders to deck- perfect space to entertain family and friends. 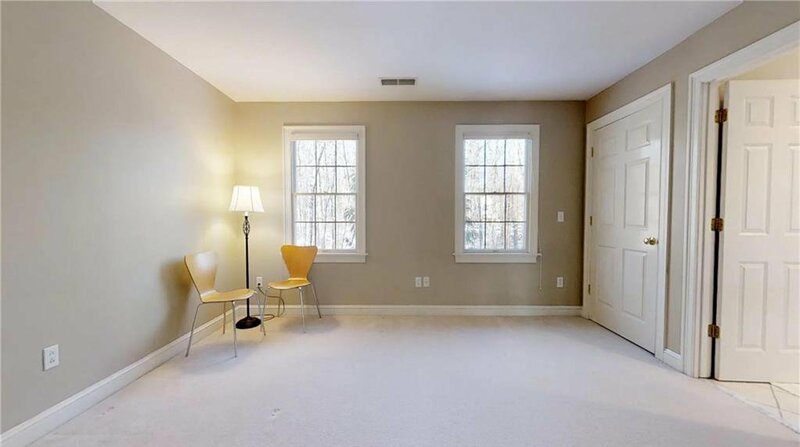 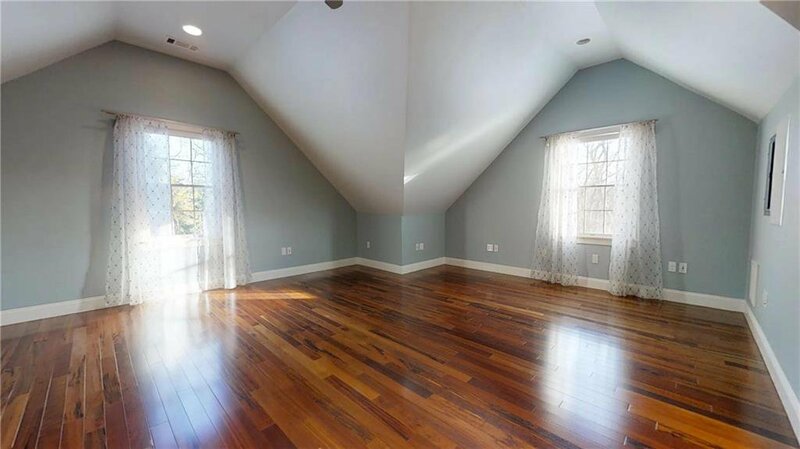 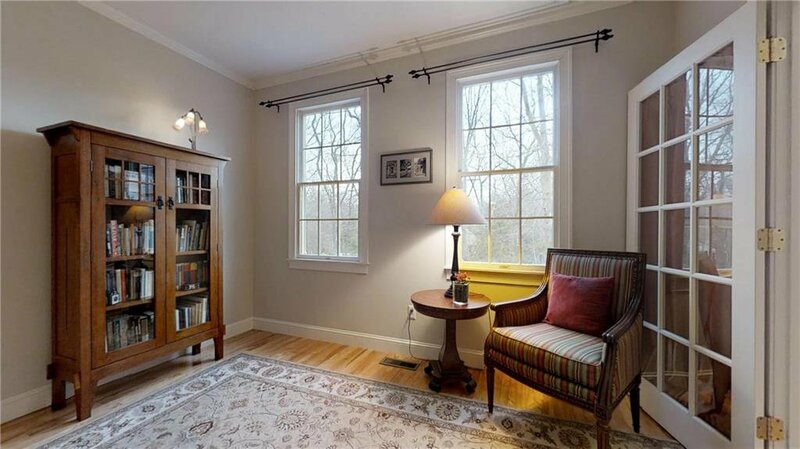 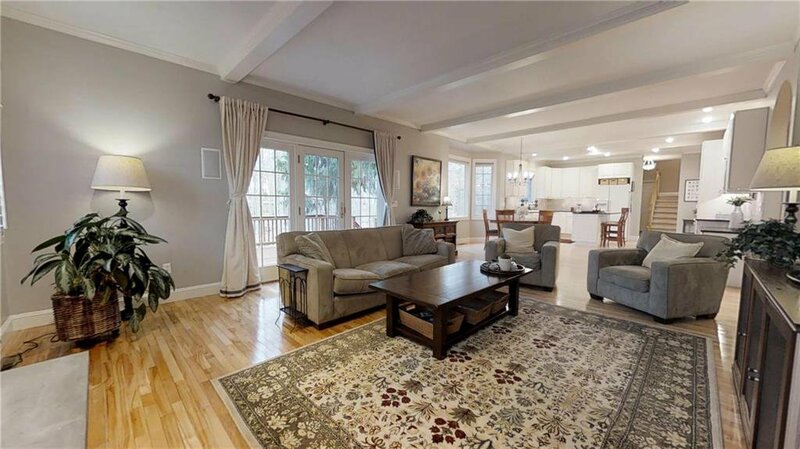 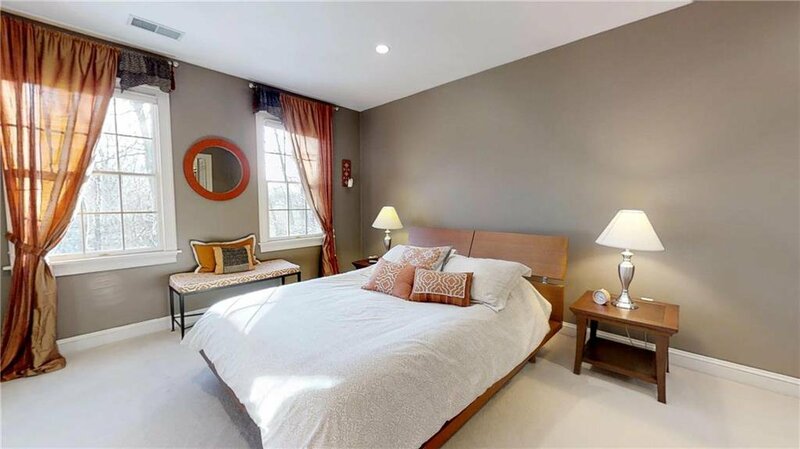 Light hardwood floors throughout first floor add to the bright & welcoming feel. 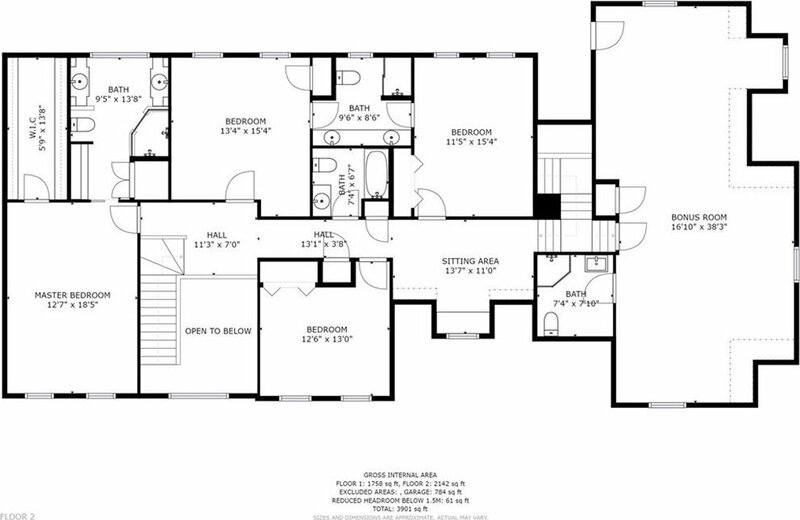 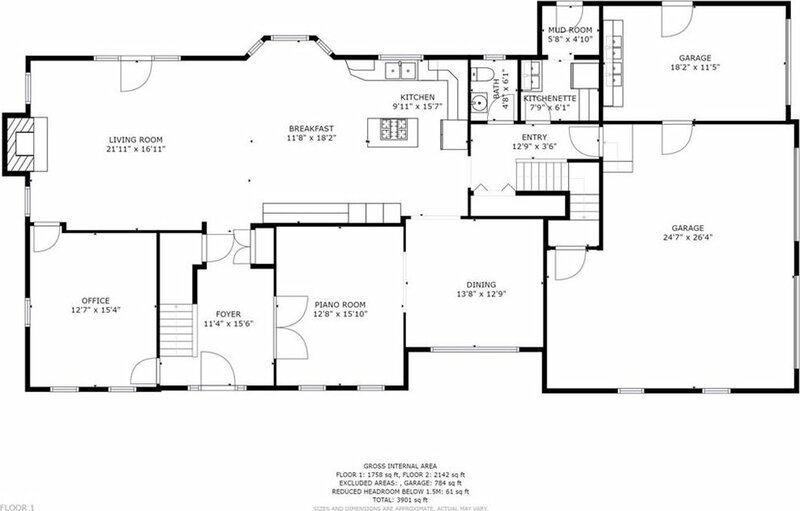 First floor also offers formal dining room, office, sitting room, mudroom and oversized 3-car garage. 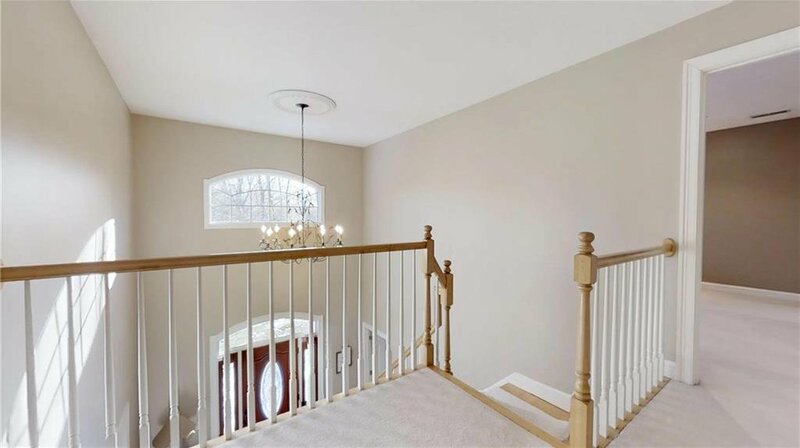 2 staircases take you upstairs where you'll find a master suite with recently rebuilt/modern bathroom with heated floors and walk-in closet. 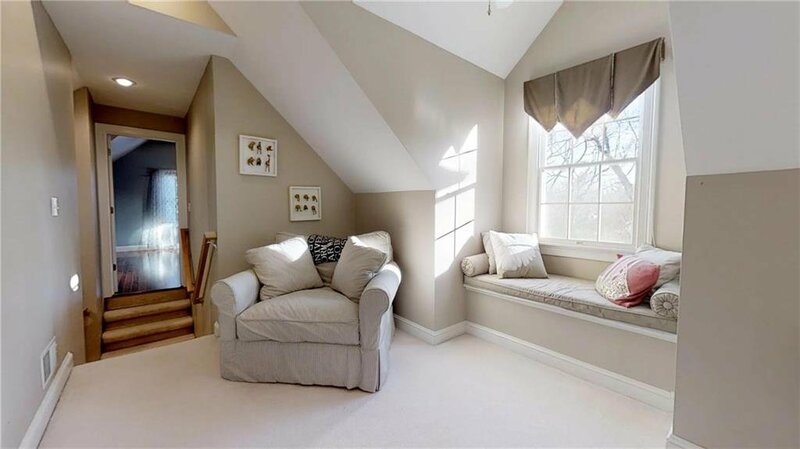 Second floor laundry. 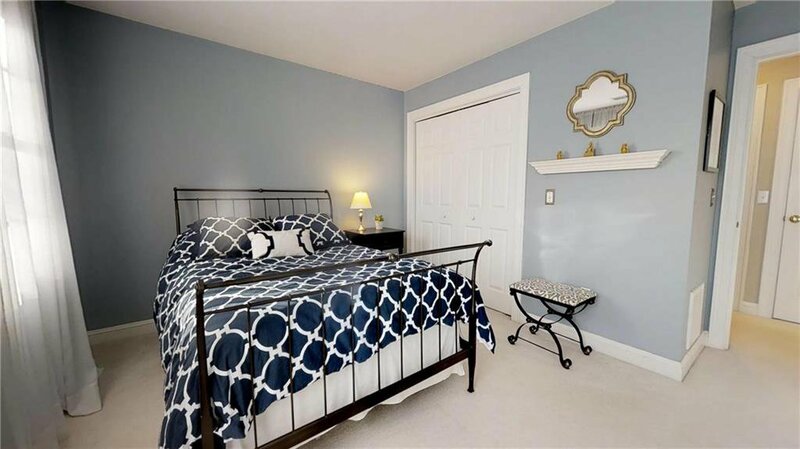 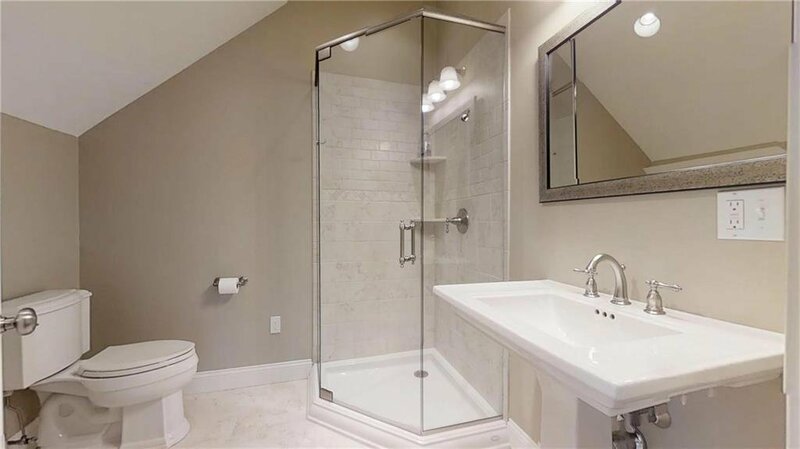 2 bedrooms with Jack-and-Jill bathroom between, additional bedroom and bathroom, sitting area that leads to private loft with over 500 sq-ft, 16' x 38' space with full bathroom/radiant heated floors could meet many needs- au pair, guest suite, media room. 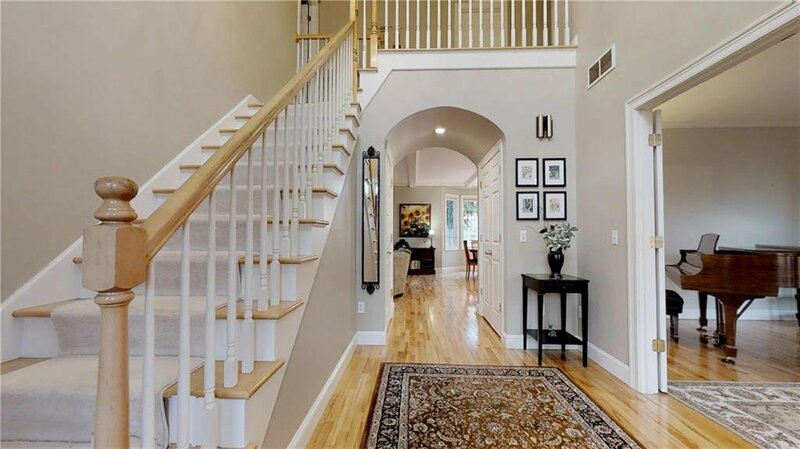 Recently painted interior features neutral color palette awaiting your personal touch. 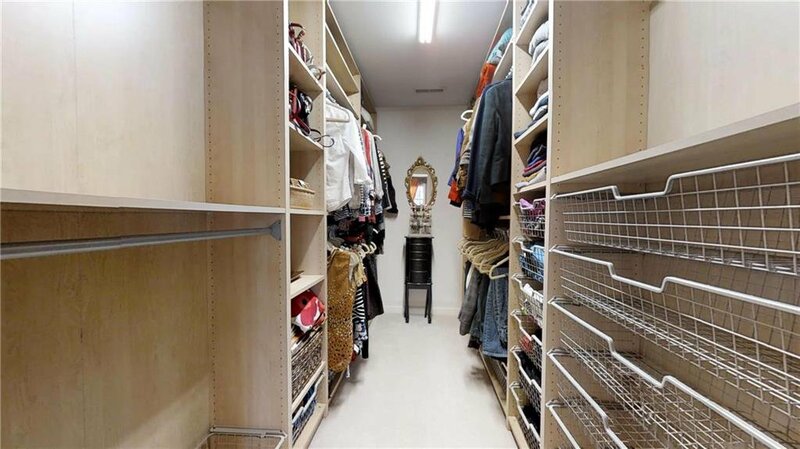 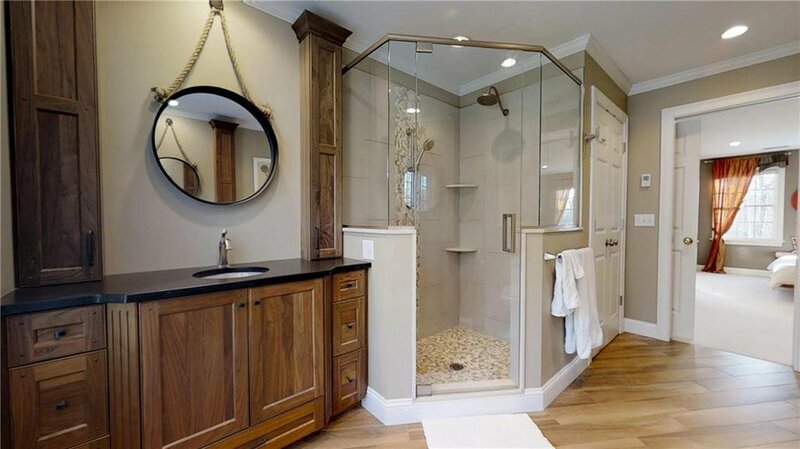 Basement can be finished for additional space. 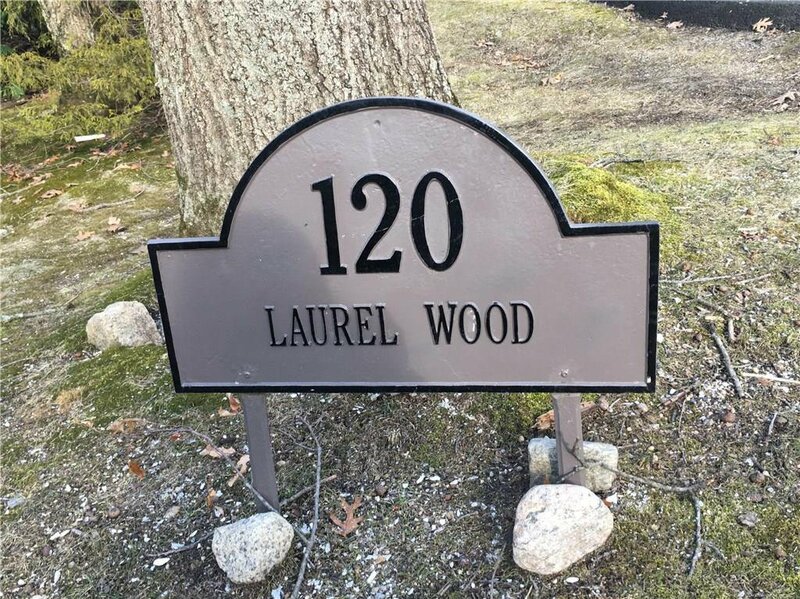 Sitting on a private/wooded one-acre lot. 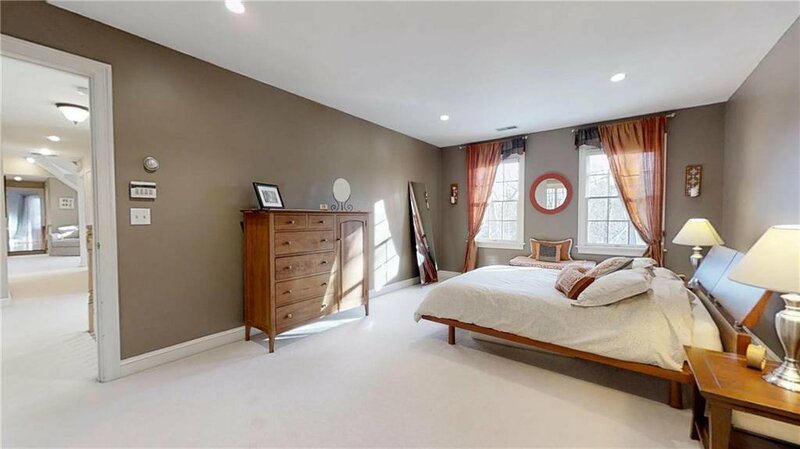 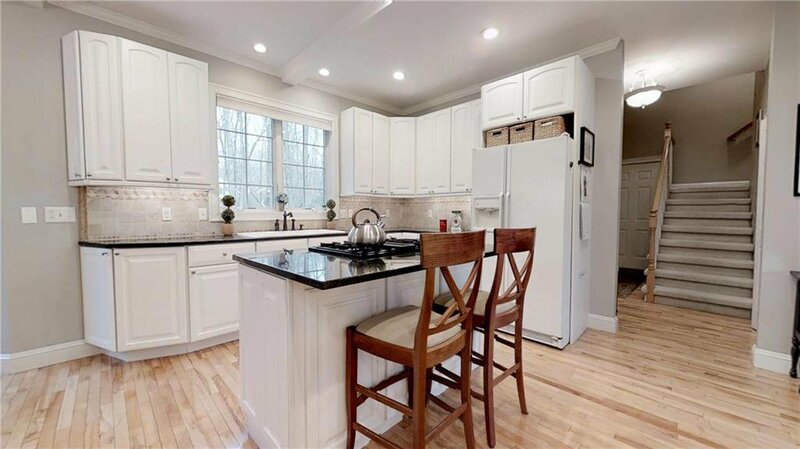 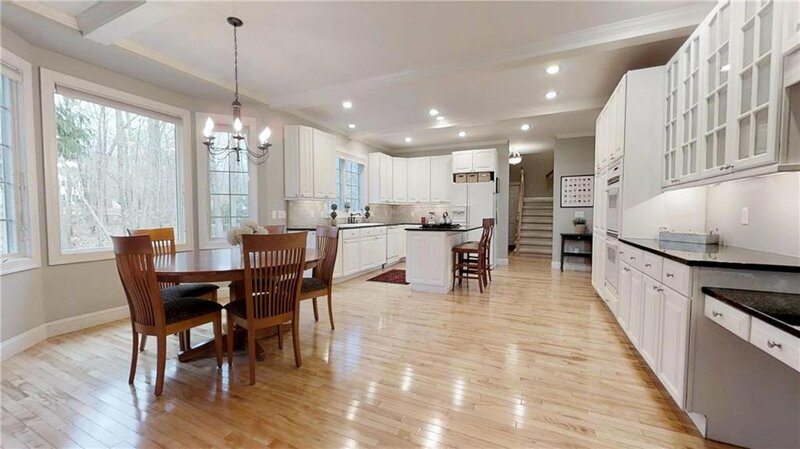 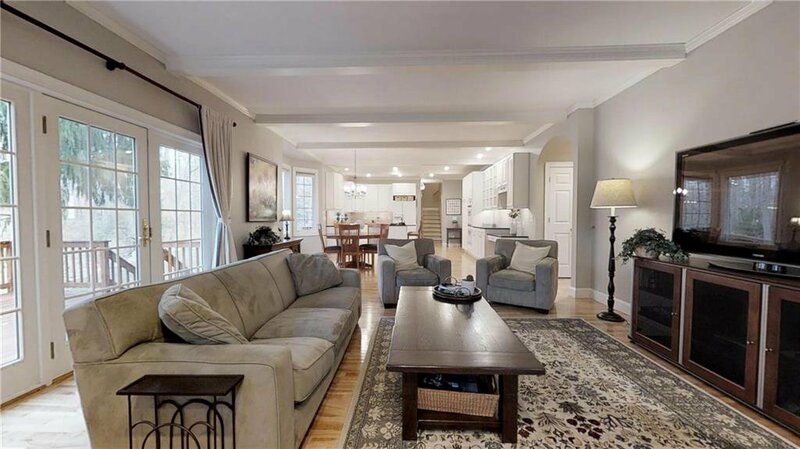 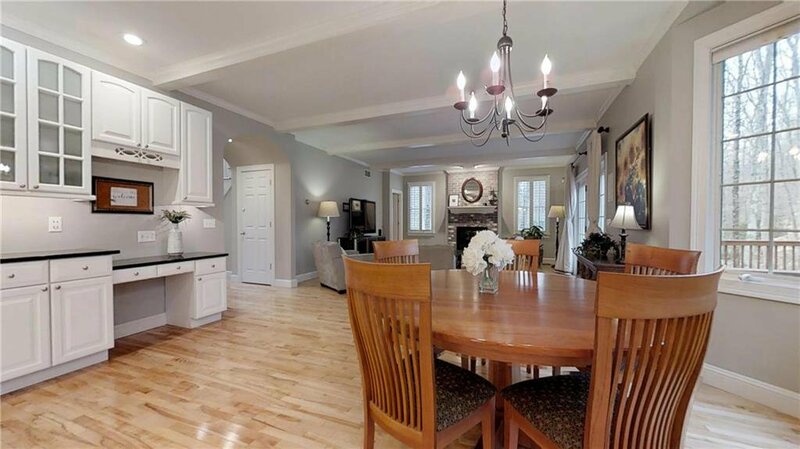 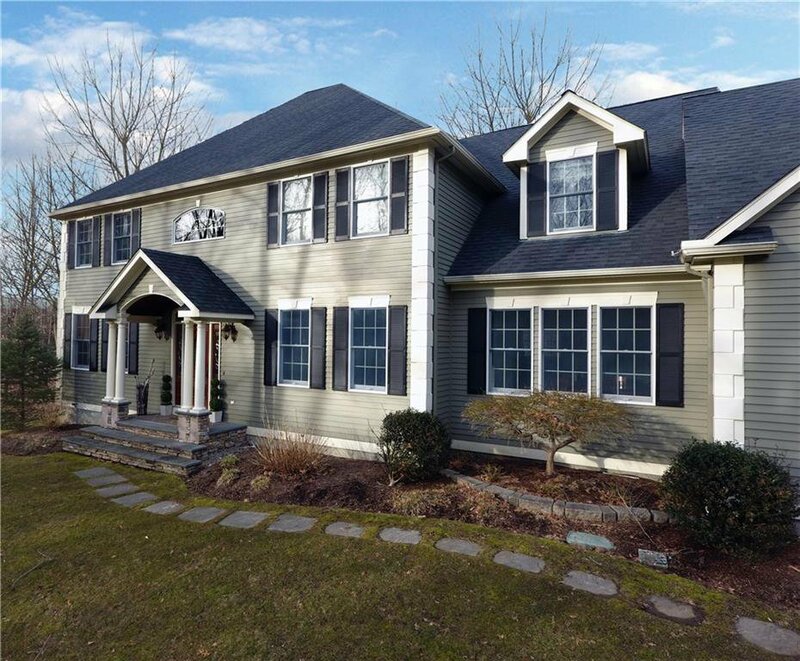 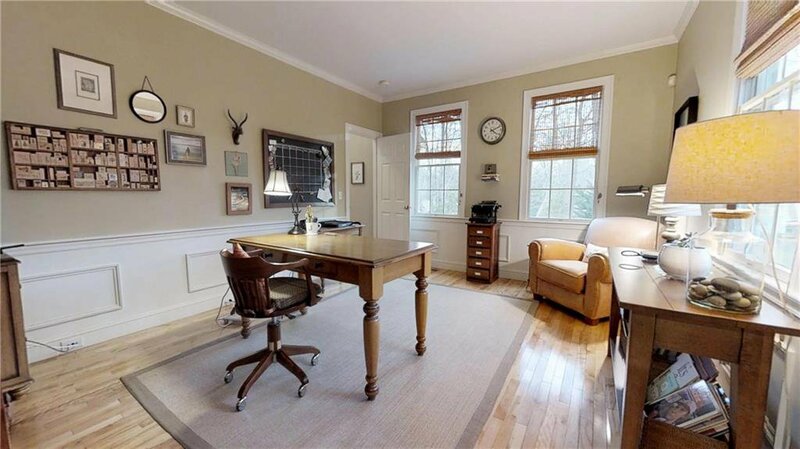 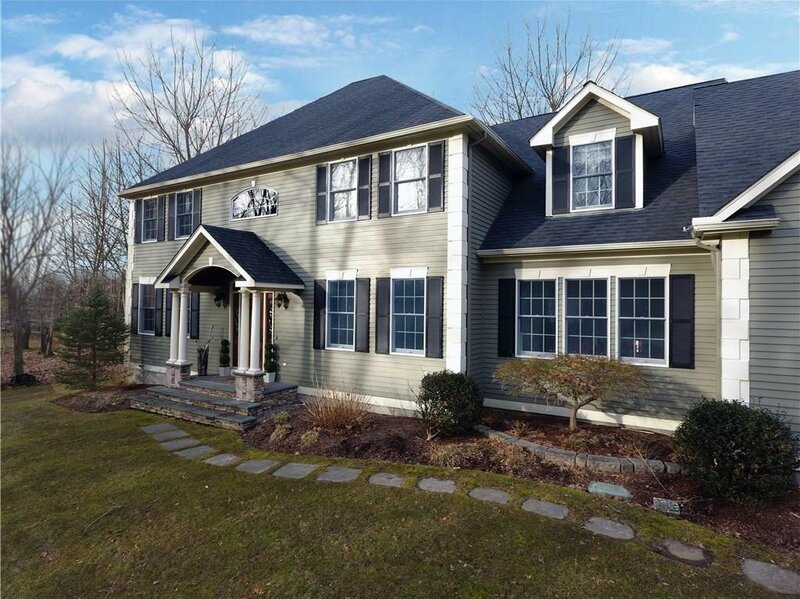 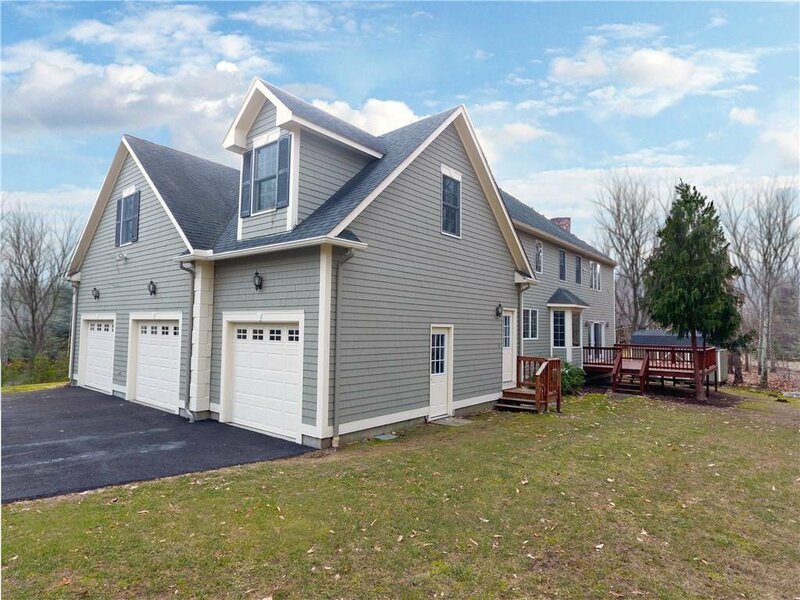 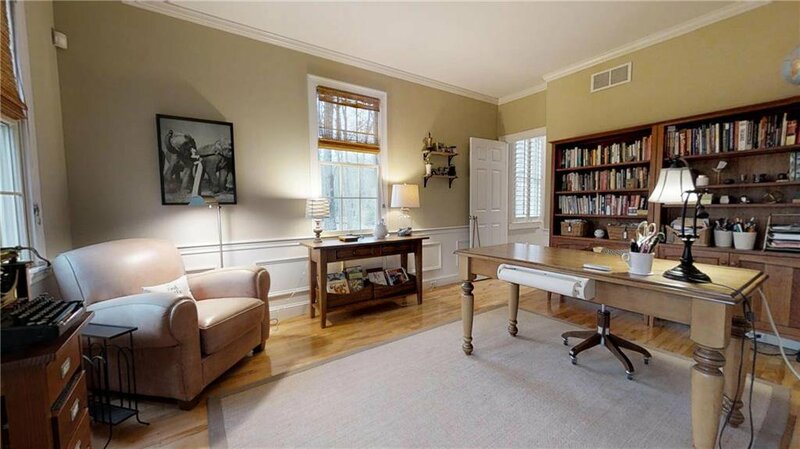 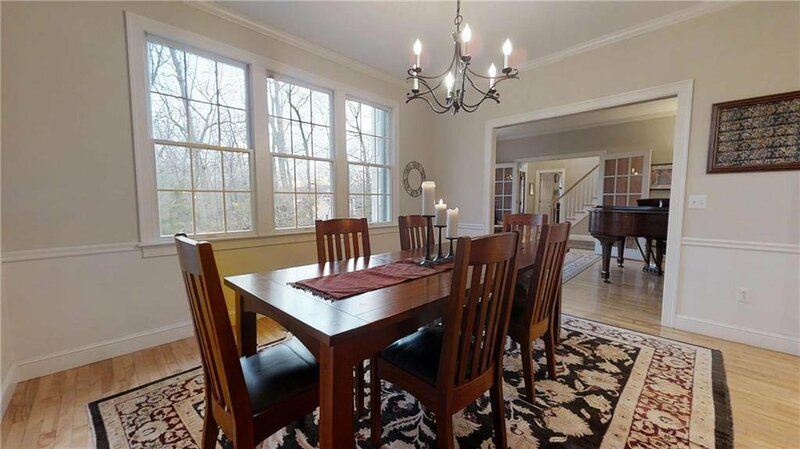 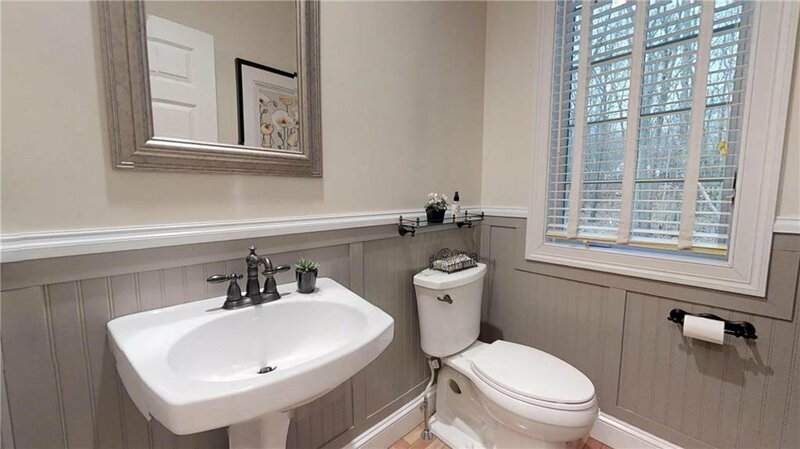 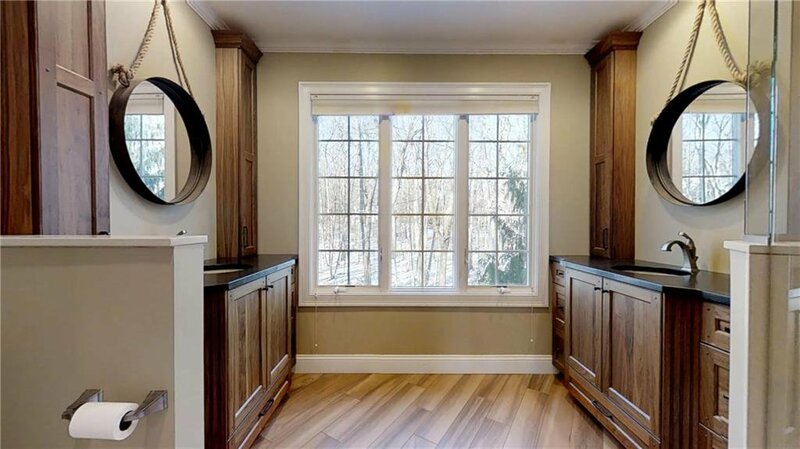 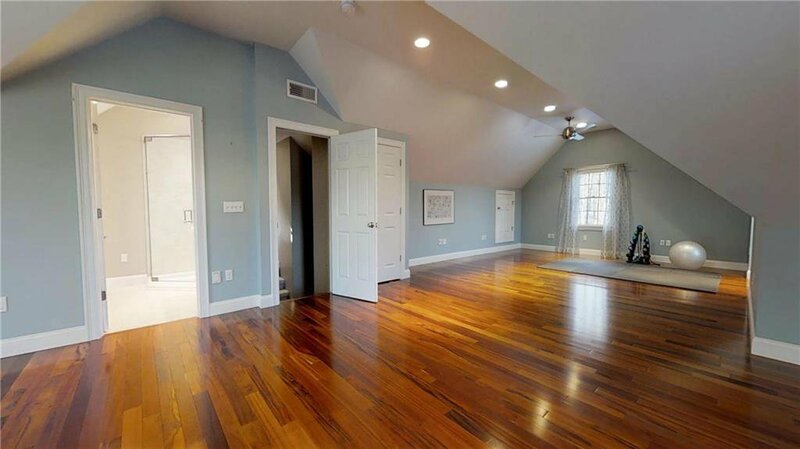 Minutes to highway, airport and Main Street East Greenwich- shopping, restaurants, marinas. 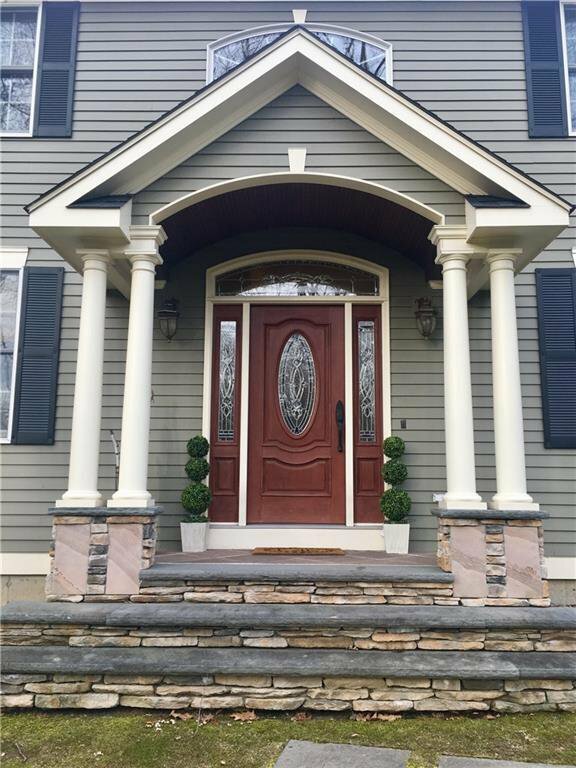 Schedule your exclusive showing today!